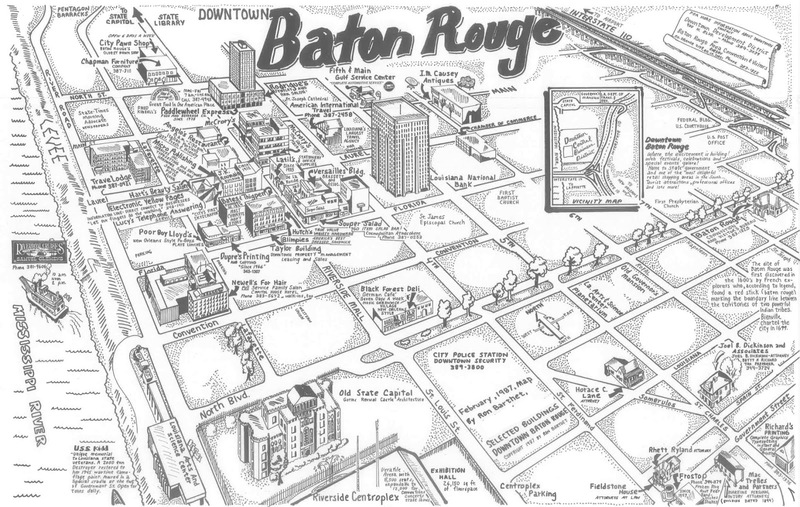 In 1987 I produced a pictorial map of downtown Baton Rouge, quite a challenge when you think about the large number of buildings. The solution was just to leave most of them out, unfortunately. 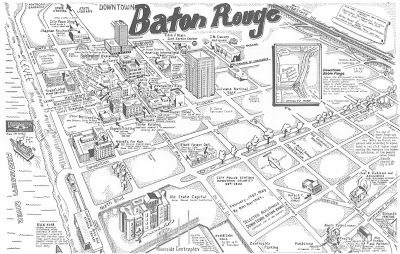 Here is the map with the key buildings and general information about the capital city of Louisiana.